Let the countdown begin! 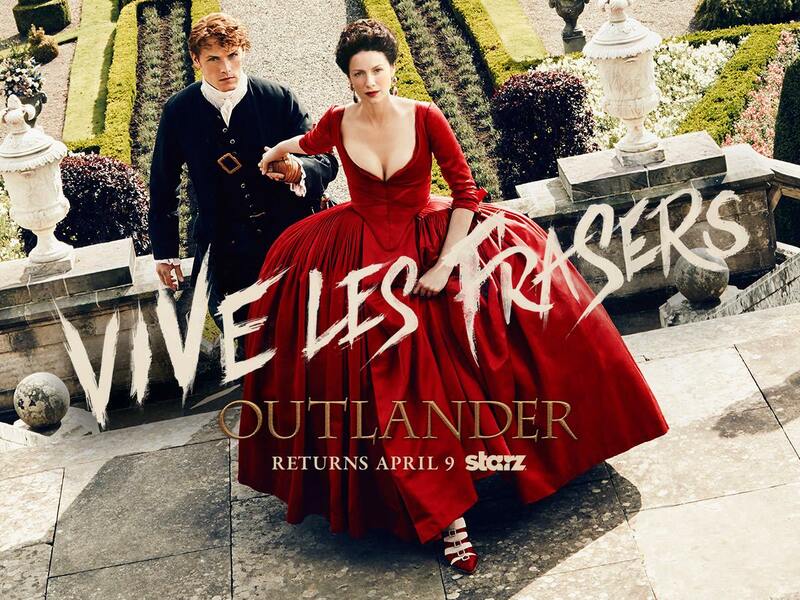 Starz announced this week that season 2 of Outlander will premiere on April 9th. April 9th cannot get here soon enough! « Following up: Reviews, news, and some HP too! Words cannot express how excited I am for this season! Although I will miss Jamie as the scruffy highlander haha. I can’t wait to see how the story is told in season two. So much happens in Dragonfly in Amber. Looking forward to it! Me too! The question is… will I stream it, or wait for the DVD/BD release to see it? I managed to wait during season one, but this time… not so sure! I can’t wait to see how they handle Paris, Versailles, the battles, all of it! Right? Right? Can. Not. Wait. I need to start my season 1 rewatch now! Me either! All of the season 2 photos and trailers look amazing.